connect with him on LinkedIn and Twitter!!! Passing a new law can be part of a problem-solving strategy for local governments, but just passing a law doesn’t solve the problem, because people still violate laws, especially when people aren’t aware of the law, and there’s no reasonable expectation of enforcement. Like many communities, in late 2017, our community became overrun with a new business model where companies left “raccoons” all over the community in hopes that people would download their apps, enter in their credit cards, and rent the raccoons. We quickly went from virtually no raccoons left in public, to thousands and thousands of raccoons left in public, almost overnight. Not unlike the problem in Pawnee. People were frustrated that when they called the companies they wouldn’t move the raccoons when they were causing problems, or when they were where they shouldn’t be. People were concerned about safety. Some raccoons ended up in trees, canals and lakes, and even dropped off overpasses. A few months later, things escalated. Now the raccoons could move faster than ever, making it much easier for lazy humans to hop on a raccoon and ride around the community. We were hearing from citizens and business owners wanting us to take care of the problem, and we just didn’t have enough tools to manage the problem with our existing ordinances. It was clear we needed to put some regulations in place, or the raccoons would take over everywhere. There were a couple of regulatory philosophies that we used to approach this problem. One was to “use the minimum regulation necessary to achieve the desired results.” We didn’t want to over-regulate and use too much staff resources trying to manage someone else’s business. The other was similar. Based on our prior work with anti-drug coalitions, we wanted to put regulations in place that make it “easier to do the right thing” and “harder to do the wrong thing.” For example, based on feedback from a citizen commission, we emphasized that raccoons should be parked in racks (pun intended!) – this is an example of making it easier to do the right thing, and placed an escalating fine structure in place to make it harder to do the wrong thing. We started out with a series of five criteria that we wanted to include in the ordinance – based on feedback we had received from the community during the first raccoon season. Keep sidewalks open: Raccoons should not be left on public sidewalks in areas that make it difficult for people, and people that use wheelchairs, to get where they need to go. 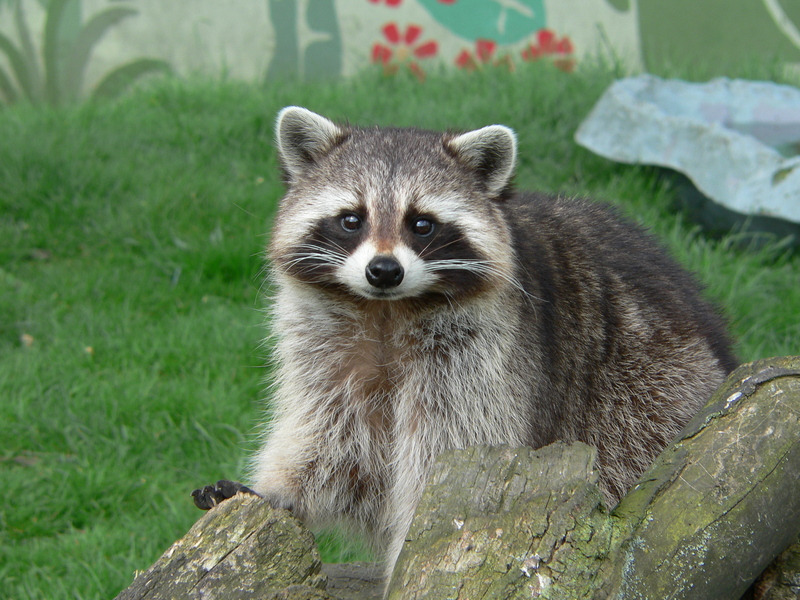 The owner is responsible for their raccoons: The owner – whether an individual or a company – is responsible for making sure their raccoons are parked properly. For example, if I loan you my car – I’m still responsible for how it’s used and parked while you are using it. They should be operable and used: Raccoons should not just be left out in public if they’re not being used (that’s just advertising) and dead raccoons should be removed. Don’t park too many raccoons together: To reduce visual clutter, raccoons should be spaced out. This was one of the big problems we had during the first season – there were just too many. We put a simple rule in place – no more than five by one owner every 200 feet. Respect private property: Raccoons should only be on private property with permission of the property owner (unless they are in a rack placed for that purpose). For Ron Swanson’s take on this, check out this deleted scene from Parks and Recreation. So a key question was — where did we want them and where didn’t we want them? We ended up with a list of the 15 places that you couldn’t park a bike in our community, and at the council meeting, they added one more — no parking in front of public art! Our focus was to allow the free market to operate, without placing unnecessary regulations in place to restrict the market’s ability to operate such as those that might favor one owner over another. This was important because we didn’t want the regulation to become a big burden on the city resulting in the need for increased staff, such as police officers, or raccoon inspectors. This seemed compatible with the pro-business environment predominant in our community and state. However, while in general people seem to be opposed to government regulation of business, that seems to change when a particular business is doing something that people don’t like. Looking at local government regulations in other communities and other states, the differences in community values and norms are readily observable. It’s important to note that what works (or doesn’t work) in one community, may not work (or may work) in another. I’ve often thought, “we could never do that here!” when looking at other requirements from other cities. But that’s one reason local government is more responsive than other levels, and why communities must remain able to adopt strategies that seem a good fit for their locality. What else are we doing to manage the raccoon invasion? We’re using our mobile responsive website that has a “report a problem” feature to provide an easy way for people to report a violation, and those reports go directly to the companies and to staff. We’re setting up a dashboard using company data feeds to track and easily identify potential violations. We’ve mapped rack locations as well as prohibited parking and operations areas and are uploading to our open data portal so that companies and citizens can see where they can be operated. The new regulations have only been in effect for seven weeks so it’s too early to tell if this approach is working, but we’ve promised a report back to city council after tourist season wraps up in April. And who knows what’s next for the raccoons. They are a clever bunch! To listen to an excellent podcast about how Toronto is dealing with real raccoons, check this out this 99 Percent Invisible episode. You can find more about our approach and ordinance, go to ScottsdaleAZ.gov, search “bike” or read the staff report. Brent Stockwell serves as assistant city manager for the city of Scottsdale, Arizona. He has worked for the city since 2002 in a variety of roles, and has also served in Mesa, Arizona and Federal Way, Washington. He earned degrees from Kansas State University and the University of Washington. He is happily married to his awesome wife, and they are parents of one son, two daughters and a goldendoodle puppy. Follow on Twitter or connect on LinkedIn. All views and opinions expressed in this post are solely those of the author and do not reflect the views and opinions of his employer.